Cattaneo Commercial has just concluded the sale of 1 Cobden Mews, 90 The Broadway, Wimbledon, a 1,370 sq ft office building located close to the town centre. 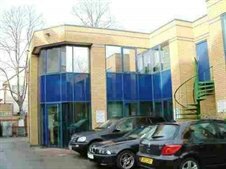 Strong demand for the freehold was received from owner occupiers in particular. If you are considering selling your building then please contact Andy Armiger on 0208 546 2166 or andy@cattaneo-commercial.co.uk.